Today I’m sharing this Stunning Vintage Silhouette Elegant Ladies at Tea Image! 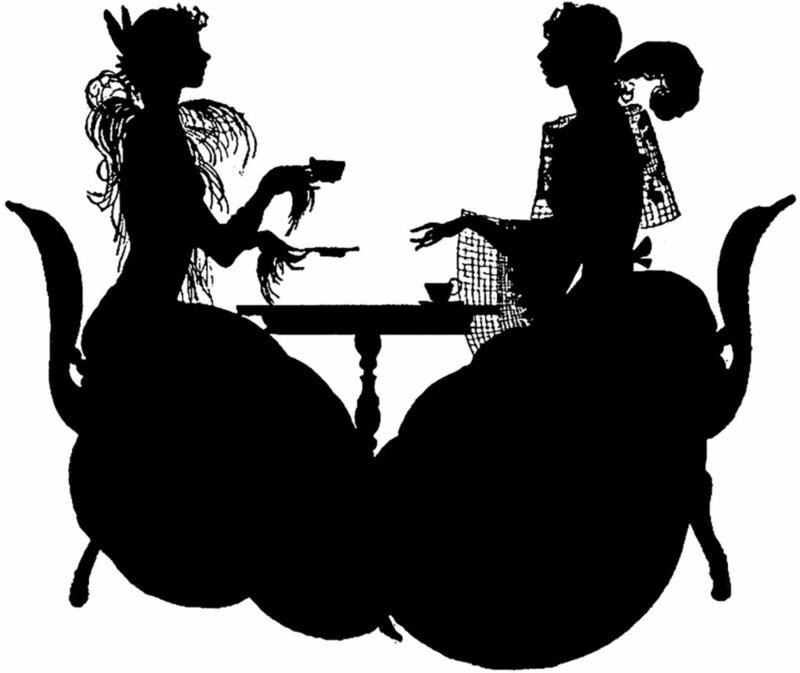 This finely-detailed silhouette of two elegantly dressed ladies at tea is just breathtaking. They are dressed in beautiful clothing showing feathers and lace details. Their delicate hands and fingers are beautiful. They are sitting at a table drinking tea. I could see this as an invitation to an elegant tea party. So nice to use in your Craft or Collage Projects! 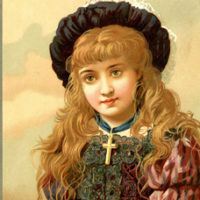 « Cutest Vintage Witch Costume Halloween Postcard! This is just beautiful, Karen. Thanks so much for sharing it.